If you’re looking for a pair of effective yet affordable knee sleeves the YaWeLift sleeves are a great option for you. 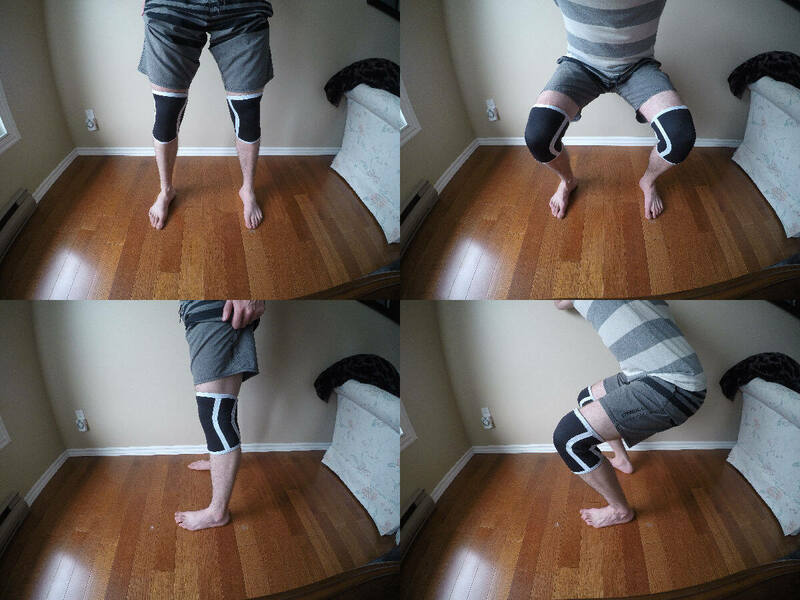 In this review post I’ll be checking out their new 7mm neoprene knee sleeves designed for squatting, olympic lifting, and powerlifting. Checking out these sleeves out of the box they look and feel very similar to the Rehband 7751 7mm knee sleeves which is certainly a good thing, since those sleeves are considered top of the line by many. If you order true to your size these sleeves are easy to put on and off and feel comfortable on the skin. Going into a squat movement as shown in the images above, the stitching pattern lets the sleeve stay in place on the knee while giving you warmth, compression, and lateral support. Initially they feel very high quality for the price, and after using them for a bit of time you can tell they’re not quite the same quality as the Rehbands in terms of comfort and compression but they are certainly adequate for the price tag. These really feel great to squat in, they don’t pinch around the leg so the contoured design is working properly. The support at the bottom of the squat is springy and gives you a good rebound which is what you want. After using them for a few sessions and even washing them, they’re still working great and supporting me in regular squat workouts. Coming in at around $35 for a pair when one Rehband sleeve is almost double that for just ONE it’s easy to see why many squatters and lifters would choose these over more expensive options. These work just fine – there’s no branding on them so they look simple but they do their job. I would recommend these to anyone interested in squatting regularly who wants protection and a bit of rebound at the bottom of the squat – WITHOUT BREAKING THE BANK. These are great budget knee sleeves for anyone into CrossFit, squatting, powerlifting, or olympic lifting. If you’re interested in checking out other knee sleeve types and brands check out our big review post on the best knee sleeves in 2017!